A new private-public partnership was formed to promote America. They came up with a new dot logo. They say it has a 21st century look to it. 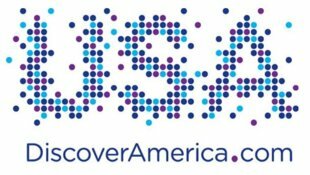 That’s the tagline for a new ad campaign designed to promote the U.S. of A., an effort to boost business and leisure travel in order to spur economic growth, Advertising Age reports. Hmm. That super-committee really wants to cut spending, they may want to start here.